This book will teach you how to create gigs that sell. You will get to know how to make your gigs rank well and what to do when your sales drop. 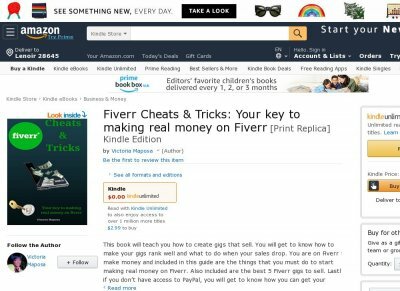 You are on Fiverr to make money and included in this guide are the things that you must do to start making real money on Fiverr. Also included are the best 5 Fiverr gigs to sell. Lastly, if you dont have access to PayPal, you will get to know how you can get your money.